Discover our expert tips for styling your wedding ring, whether you choose to wear it with your engagement ring, or let it shine on its own. 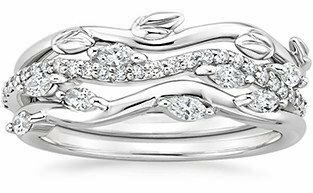 Many women want their rings to match perfectly. If you find this appealing, opt for a matched wedding ring set. 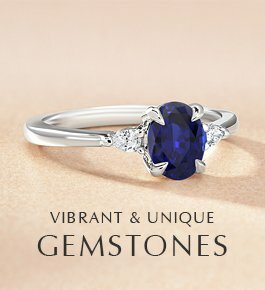 These perfectly paired rings have the same details, embellishments, and/or gemstone accents, all of which end at the same point on both rings. An ideal choice for those drawn to symmetry, matched sets are available in a variety of styles. If the center gem protrudes, or if there are natural curves in the engagement ring, the wedding ring will need to be contoured for a perfect match. 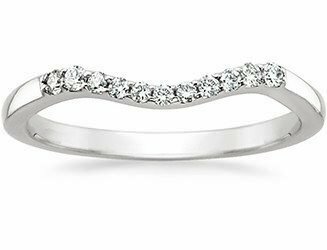 A contoured wedding band, also called a shadow band, will have a slight curve to accommodate the engagement ring as necessary in order to sit flush. 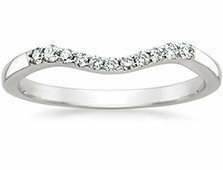 Keep in mind that many women don't mind a slight gap of a few millimeters between the engagement ring and the wedding ring. It is a matter of personal preference. 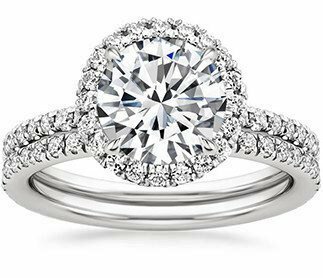 If you want your wedding and engagement rings to fit nicely together but do not feel that they must match perfectly, consider a wedding ring that complements your engagement ring. 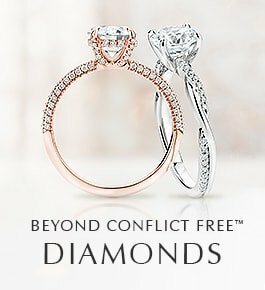 In these pairings, the engagement and wedding rings play off of one another beautifully. Choose the same precious metal—platinum, 18K gold, 14K gold, or palladium—so that both rings have the same properties and will “wear” and can be maintained in the same way over time. If you decide to include gemstones in your wedding ring, keep in mind the size, shape and setting of the gemstones relative to those in the engagement ring, as well as where on the wedding band the gemstones end. 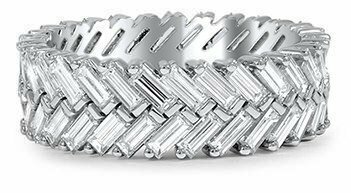 It is best if the diamonds align, or go all the way around, as in a diamond eternity band. If you plan to wear your rings on the same finger, it is best to keep the style and aesthetic similar. For example, if you have a vintage-inspired engagement ring, take a look at vintage style wedding rings. Keep the same in mind with contemporary styles. 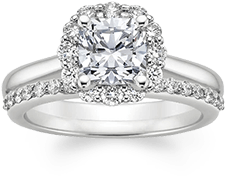 Classic solitaire engagement rings have more versatility and can be paired with different styles for the wedding ring. You may want to select a wedding ring that provides you with flexibility in wearing it separately. 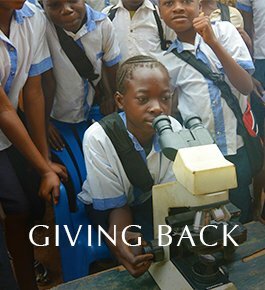 Depending on your lifestyle (e.g., active, frequent travel), and life stage (e.g., young children), it is nice to be able to wear your wedding ring by itself. Make sure you select a wedding ring you love on its own and also with its engagement ring companion. 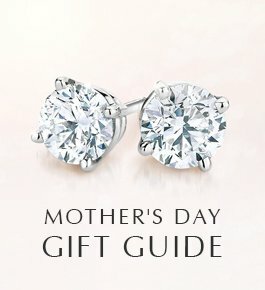 You may be looking for a unique wedding ring and don't want it to compete for attention with your engagement ring. If you have a contemporary aesthetic, you may also prefer to showcase your engagement and wedding rings separately. You may want to offset your wedding ring on a different hand when you marry to give yourself the option of layering it with other bands in the future (anniversaries or other occasions). This is called ring stacking. 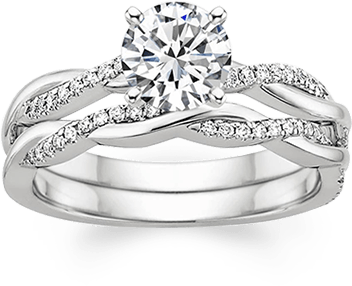 Authentic vintage wedding rings guarantee a one-of-a-kind look. They often feature exquisite details like hand engraving and milgrain, and may include diamonds in antique cuts that are rarely seen today. Infused with history and character, vintage wedding rings make a wonderful addition to any engagement ring. 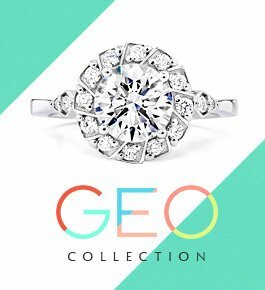 own a vintage engagement ring? 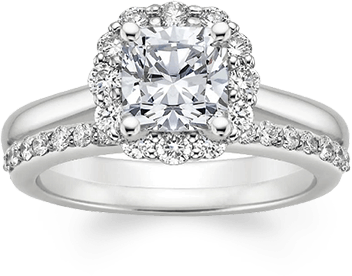 If your engagement ring is vintage or vintage-inspired, you may find selecting a wedding ring rather intimidating. 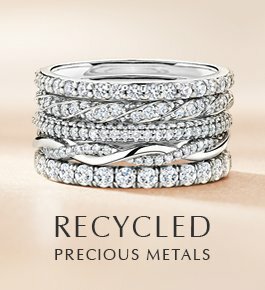 Head over to our blog for tips to pairing a unique estate ring with a wedding band, making the process simple and fun.